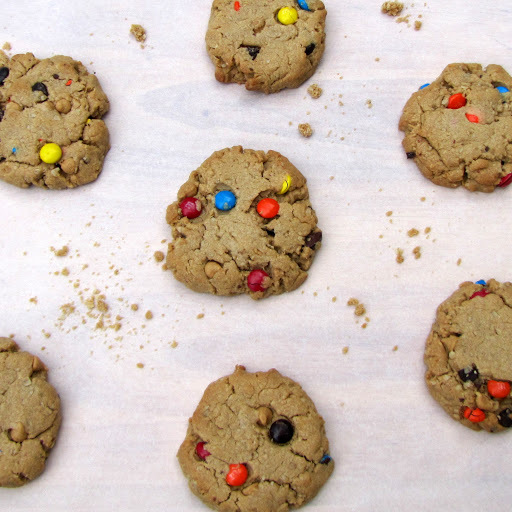 You can’t go wrong with these cookies. They are so soft and gooey and packed with every delicious thing. 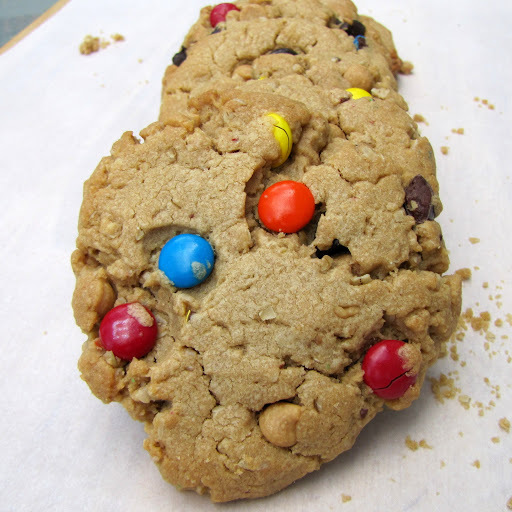 What’s not to love about a thick, soft peanut butter cookie filled with oatmeal, m&ms, peanut butter chips, and chocolate chips? The trick to these cookies is to underbake them a bit. It will keep them super soft, which makes them super yummy. 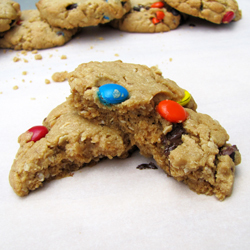 Make sure and make them huge- this recipe should make 12 monster cookies. If you make them smaller than that, you can’t very well call them monster cookies with a straight face. Preheat the oven to 350°, and line a cookie sheet with parchment paper. Combine peanut butter, brown sugar, and white sugar until light and fluffy. Add peanut butter, eggs, and vanilla. Mix again. Mix in the baking soda, salt, and flour and stir just until combined. 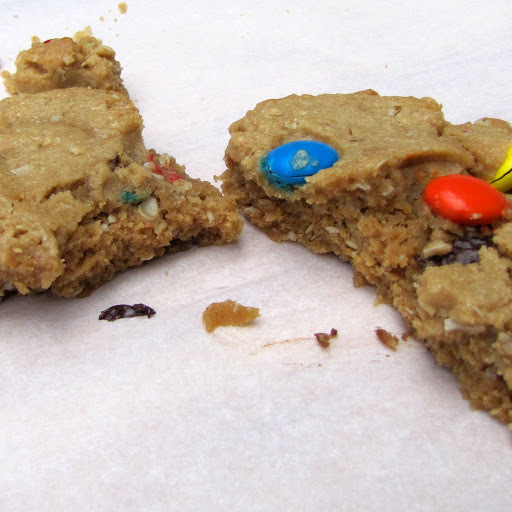 Stir in the oats, m&ms, chocolate chips and peanut butter chips. 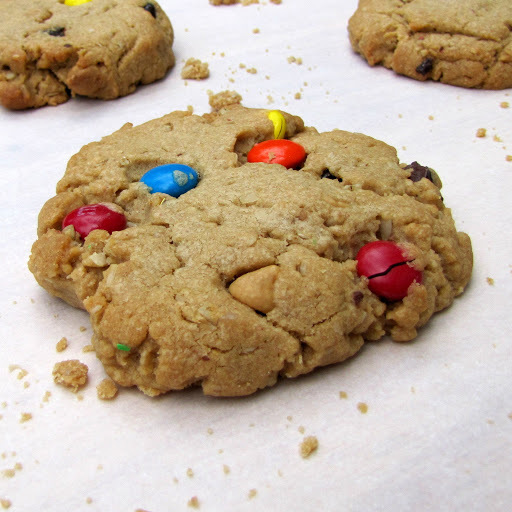 Using a tablespoon or a cookie scoop, place two tablespoon balls of batter onto your cookie sheet. Press them down a bit- they do not spread on their own. Bake for 8-10 minutes. Be very careful not to overcook, you want these to stay soft.